Are You Working for One of Our Preferred Employers?! Call to see if you're eligible for waived application and admin. 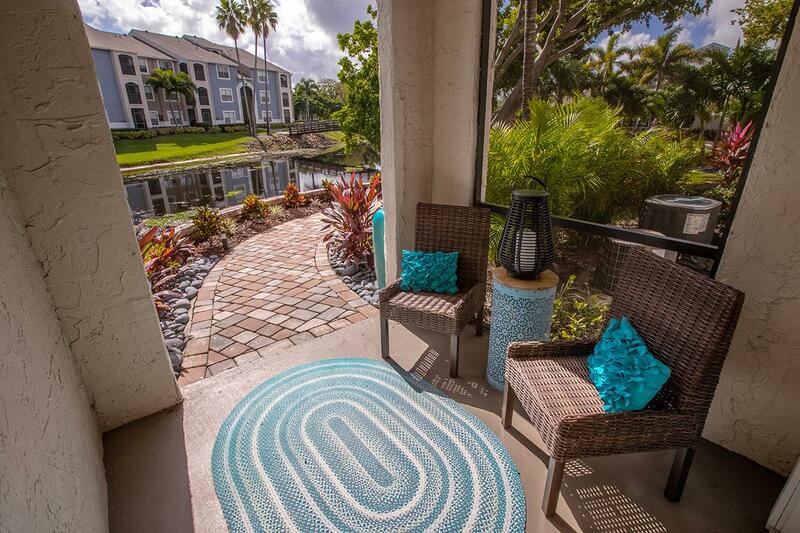 Centrally located in beautiful Lantana, FL, The View at Water’s Edge Apartments is sure to have the perfect home for you! 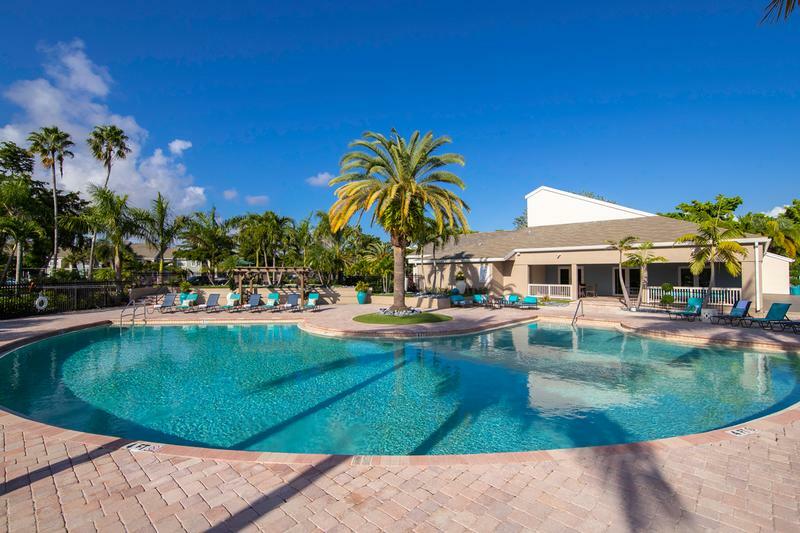 Minutes from the Eau Palm Beach Resort & Spa, our apartments are located just north of Boynton Beach, and a short drive from the Boynton Town Center. The access to I-95 makes The View at Water's Edge easily accessible from anywhere in Palm Beach County. Don't forget to bring your furry friends as our community is very pet friendly. Your dog will love our dog park or taking a stroll around the lake on our walking path. 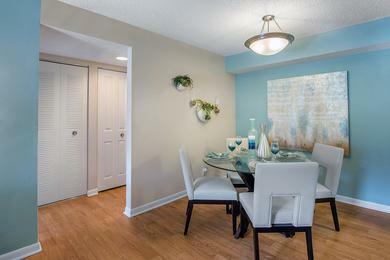 We offer convenient, spacious one and two bedroom Lantana, FL apartments for rent with optional upgrades. 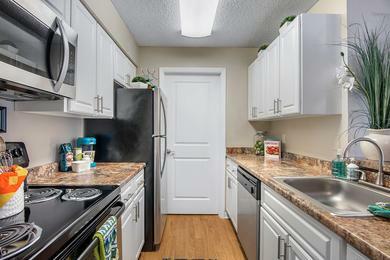 Our unique Lantana, FL apartments for rent offer full size washer and dryer appliances already connected for you inside your new home. 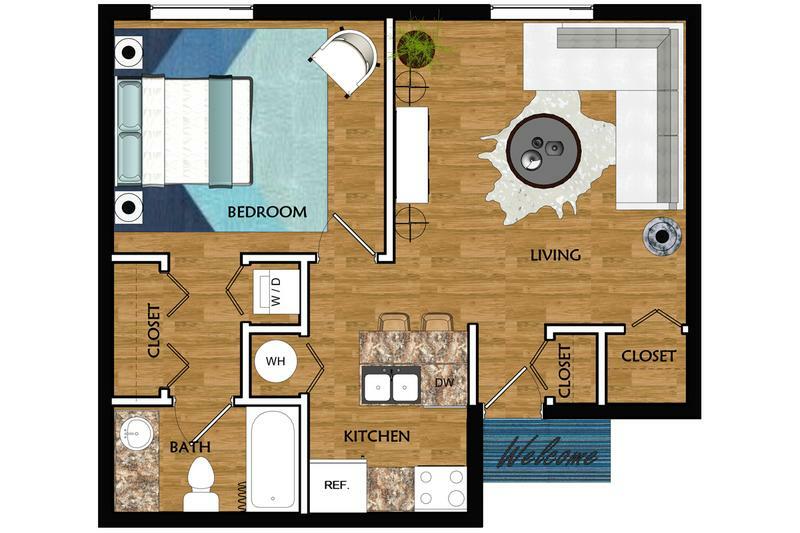 Also, with extra storage and spacious walk-in closets, you will find an abundance of room for all of your personal belongings and household items. 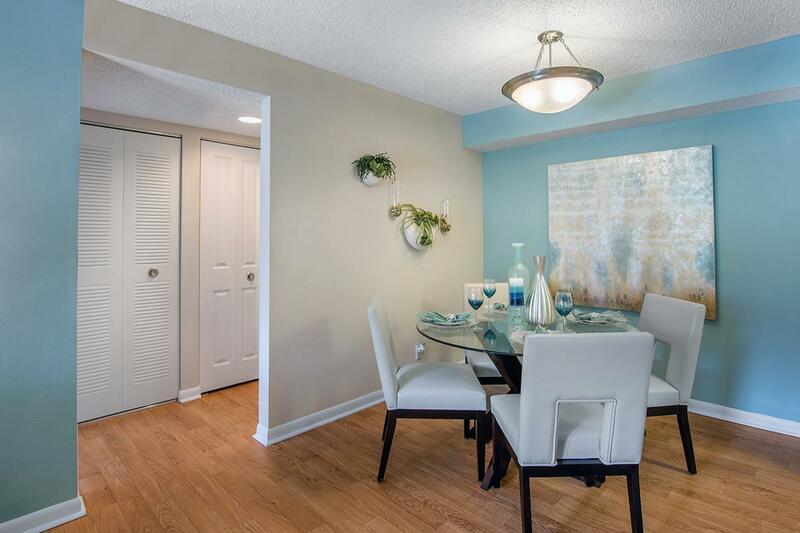 Your new Lantana, FL apartment home will also have a private screened patio, creating a serene atmosphere for you to enjoy your morning coffee or the cool nighttime breeze. You will also love our option stainless steel appliances and modern, satin nickel light and plumbing fixtures. Built around four shimmering lakes, The View at Water’s Edge provides a resort-like lifestyle that is available for you to experience everyday through beautiful lake views or using the resort-like amenities available daily for you to enjoy. After taking a stroll along side this beautiful scenery, stay active at the tennis and volleyball courts, or even at the brand new state of the art fitness center. Bring your guests down to the poolside and relax in the warm Florida sun while enjoying your free time at home. At The View at Water’s Edge Apartments for rent in Lantana, FL, you can experience a home that offers an active, comfortable, and relaxing life beginning the day you move in. 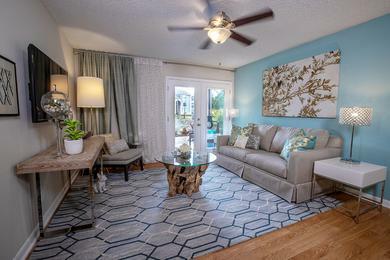 Living just minutes from JFK Medical Center, Downtown West Palm, Boynton Beach, West Palm Regional Airport, and the main expressway I-95, our valued residents enjoy the benefits of being in a prime location, and only a short distance from the beautiful coast line. Being only a few minutes from Palm Beach Outlets and 40 minutes from Downtown Fort Lauderdale, our Lantana, FL apartment residents will never be short of superb shopping, dining, and entertainment destinations to choose from. Whether it is close proximity to local businesses or the convenience of having desired amenities within walking distance, The View at Water’s Edge offers a luxurious and comfortable lifestyle for everyone. 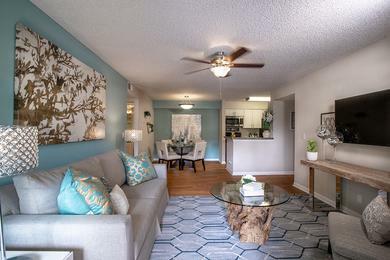 We're also a short drive to Lantana Beach and South Palm Beach.